Unless you're traveling for life, chances are, you get some level of post vacation blues. Luckily I'm in Tokyo enjoying my time with family right now but when I got back from Maui, I had some serious struggles. Especially since I was coming back from a tropical, relaxing place, it was extra difficult to face reality. I know some people with serious issues with post vacation blues that nears a state of depression. If that's the case, please don't ignore it and consult with a professional. 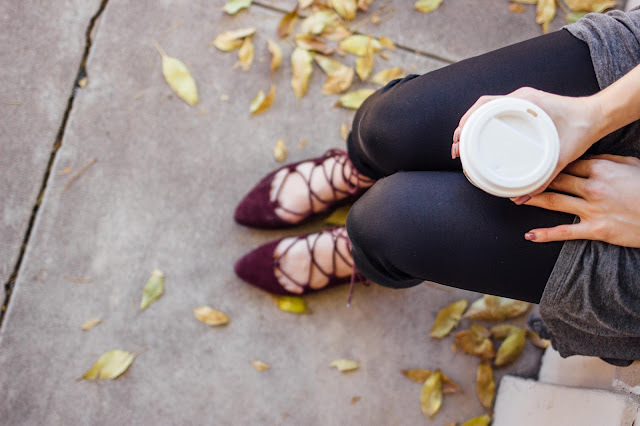 If it's not as severe, from my own experience, I've gathered some tips and tricks on how to ease the post vacation blues. 1. Take Care Of Everything Prior To Leaving - You don't want to go on vacation to relax, just to come back to a disaster that increases your stress levels. You want to plan for a smooth return. Make sure your e-mails are taken care of, your bills caught up and home clean before leaving. 2. Exercise While On Vacation - We all know exercise does wonders for your body physically and mentally. But in the case of vacation, it's important to exercise so that when you get back home, you have some sort of physical stability as well as reduced stress. 3. Stay On A Regular Sleeping Schedule - Whether you're out partying or too excited to sleep, I know it's tempting to stay up late during vacation. At least try to stay on a regular sleeping schedule so it doesn't disrupt your sleep when you get back to your regularly scheduled life. 4. Enjoy The Memories - This may sound like a self-help quote but bear with me. It's important to have the bottle-half-full attitude for this tip. Try to think of your favorite moments from your trip and feel grateful that you were able to go on vacation. Living with a full, grateful heart will help ease being back to reality. 5. Bring A Vacation Souvenir - Bringing a souvenir home or to your workplace can help with the transition of getting back to reality. Souvenirs will bring back memories every time it's in your peripheral. Taking your mind to a happy place can reduce anxiety and stress. 6. Begin Planning Your Next Trip - Having a new vacation on the horizon can help alleviate the stress of returning. Planning your next trip almost immediately even if it may not be concrete, will allow you to have something to look forward to. 7. Share Memories - Thanks to social media, this will come easy for most of us. Go back through your camera roll and share your memories. Facebook, Instagram, create a photo book, show your colleagues - whatever method it may be! Reminiscing on your trip will bring back wonderful memories, increasing your happiness. 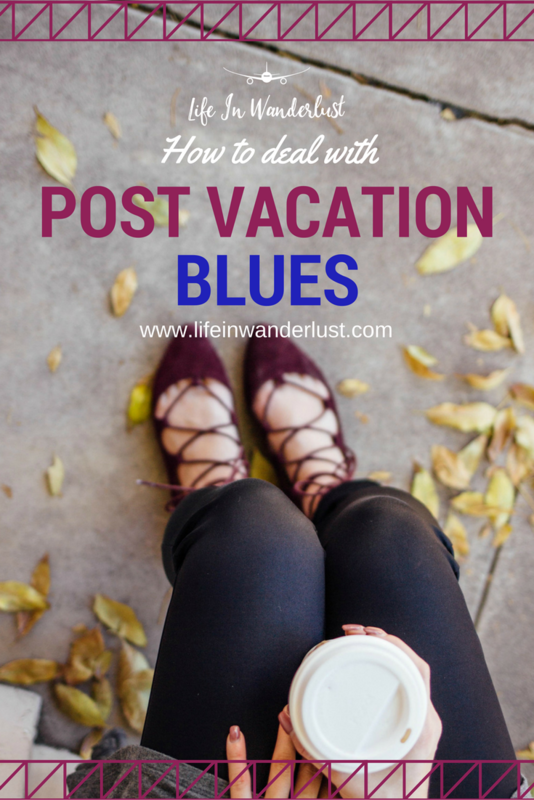 How do you cope with post vacation blues? Any tips you can add to the list? Same here. I start planning my next trip within a few days of getting back home. Even if that next trip is months away, it helps alleviate a post-vacation downer. When we lived in a hotel in Germany we'd go traveling almost every weekend and our room would be cleaned by the staff while we were gone - it was such an amazing clean feeling to come back to! It's much harder to do on our own, though, especially when we are just ready to get to our vacation! I appreciate this post - it's very hard for us that we can't travel as much (or to as many cool places nearby) now that we've moved back to the USA... we are definitely experiencing post vacation blues! All great ideas! I always get post vacation blues and I feel super unmotivated to go to work and to do anything to be honest. It's a great tip to have everything organized before you leave and it's great to come back to a clean house. I find that starting to plan another holiday is the best cure! Thanks for sharing! And have fun in Tokyo! I love this, because I suffer so bad from this. I'm the kind of person who leaves the bags unpacked for like a week after trip because I'm in denial with it being over. I definitely agree with everything on this list, especially planning your next trip. Whether it's a month or a year away, it's fun to start looking ahead, while still enjoying the memories of your past travels! !